Illustrator in Paris: "YES I CAN"
Can I? Or can't I? If I can, can we? 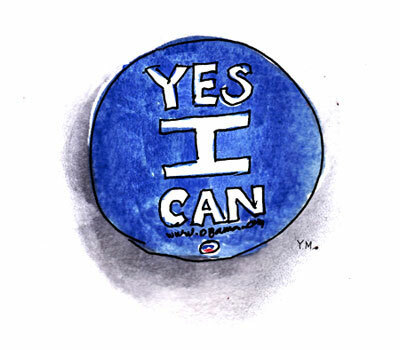 "YES WE CAN" but I CAN NOT (alone). But if "I CAN", "YOU CAN" and "YOU CAN", etc. 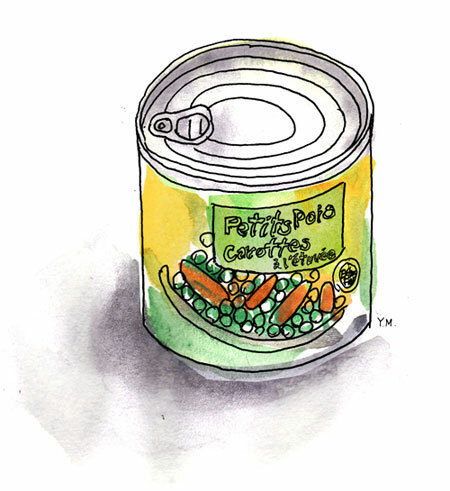 ...I CAN draw a CAN. 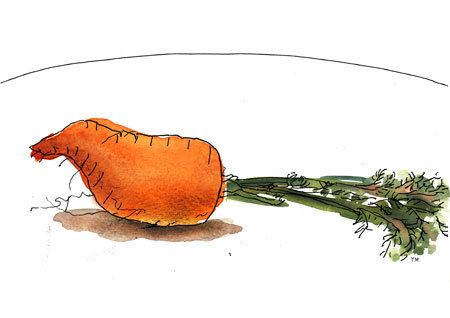 The other day my friend Laurie gave me a deformed carrot to draw and eat. I drew it, and I made a carrot soup and ate it. That was delicious. I love that carrot! I ate them too.